$30,745 x 84 Months @ 5.24% APR (estimated financing rate, cost of borrowing $6,013). This 2018 Honda Civic Coupe exemplifies automotive excellence and blends fun with efficiency and practicality. $37,485 x 84 Months @ 5.24% APR (estimated financing rate, cost of borrowing $7,332). All-new for 2018, this Honda Accord elevates the mid-size sedan to a higher plane. This 2018 Honda Accord sedan should be at the top of any four-door shoppers’ lists. $37,545 x 84 Months @ 5.24% APR (estimated financing rate, cost of borrowing $7,343). Just when you didn’t think the Honda Accord could get better, the all-new 2018 model raises the bar again for the segment. $37,885 x 84 Months @ 5.24% APR (estimated financing rate, cost of borrowing $7,410). $47,790 x 84 Months @ 5.24% APR (estimated financing rate, cost of borrowing $9,347). The Honda Ridgeline is not your average pickup truck. It matches the toughness of its rivals while giving you vastly superior comfort and driveability. $49,515 x 84 Months @ 5.24% APR (estimated financing rate, cost of borrowing $9,684). 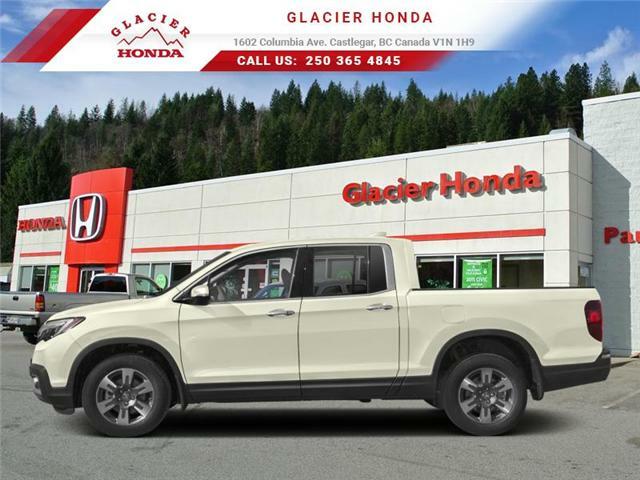 The Honda Ridgeline is a pickup truck that's trustworthy, comfortable, and truly one of a kind.